Date Night first visited the Jerusalem Bakery back in in November of 2014. We really liked it, but the building it was in was just a little newer than the Wailing Wall. Lo and behold, Jerusalem Bakery has moveth to new digs, a palace fit for King David. They did not go far, only about a mile down Franklin Road to a much better part of town. You don’t feel like your life is in danger on this end. The building is beautiful, and the first thing you notice is how big it is. The old place was rather dark and cramped. But this is not architectural digest. This is a food blog and we are here to eat. It’s a double date, with our cycling pals Mags and Peter, so you will see some extra food on today’s lunch date. You order at one end of the counter and your food comes out the other end. The food doesn’t always come out all at once. Peter’s spinach pie comes out first. He enjoys the pie. I would have liked it better without onions, but that’s just me. Everything is excellent here. 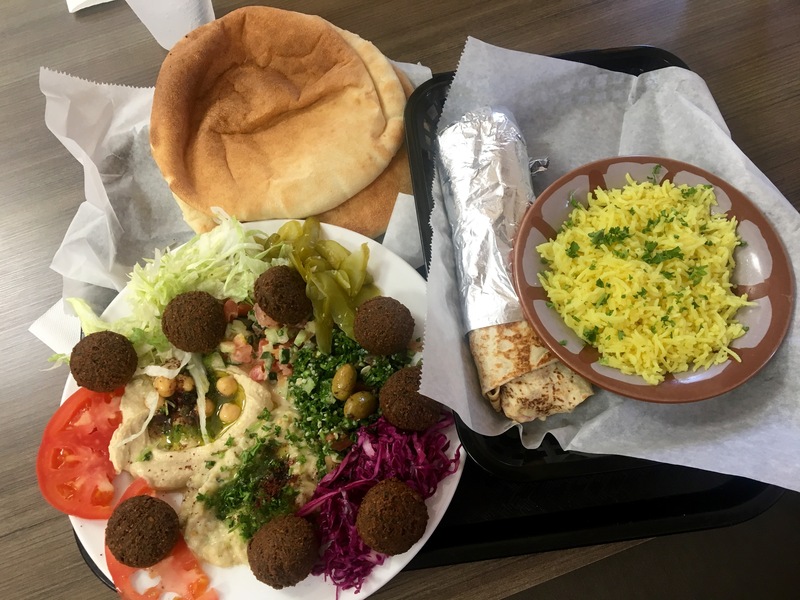 Don’t miss the Jerusalem vegetarian sampler platter. Both couples get one. This one has a Greek salad. 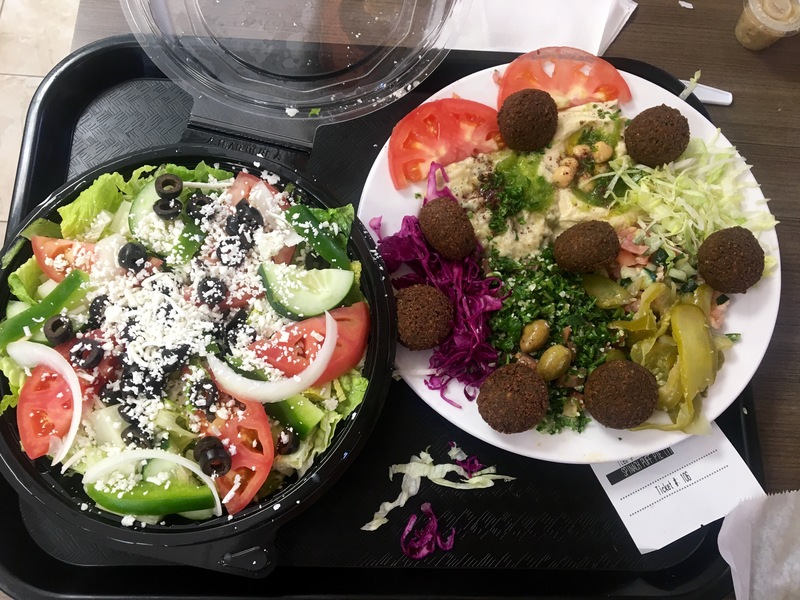 The platter comes with hummus, salad, baba ghanoush and some of the hottest, freshest falafel balls you will ever eat. We think that “baba ghanoush” is as much fun to say as it is to eat. And this one has a chicken shawarma wrap with yellow rice. 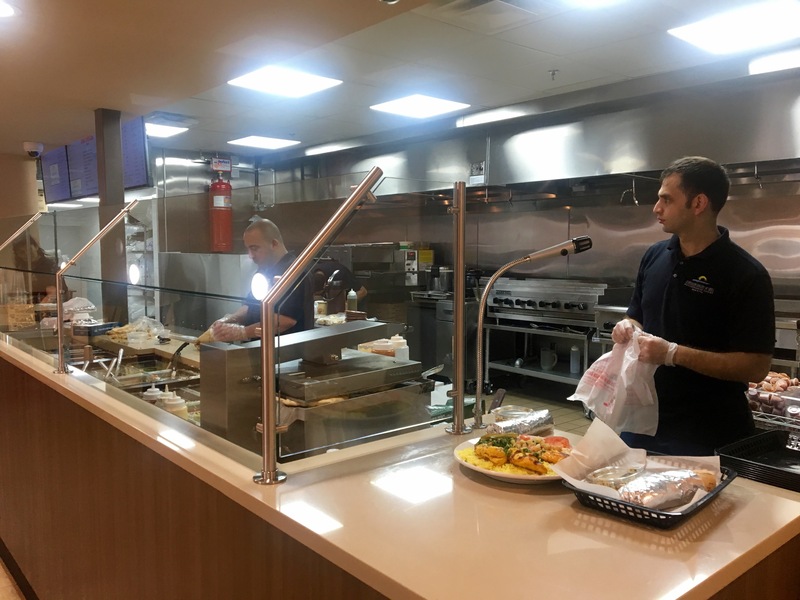 We are eating good on Franklin Road, which is looking a lot better now that the new Atlanta United soccer complex has taken the place of some sketchy apartments. They even changed the name to “Franklin Gateway” so you will forget about all of the past murders down the road. There’s a huge grocery store attached to the dining room. Make sure you go in there after you eat because that’s where the goodies are. There is no way you can make a bad choice. It’s impossible to choose something. Fortunately, whatever you choose will be good. For those who like honey, there’s these guys. 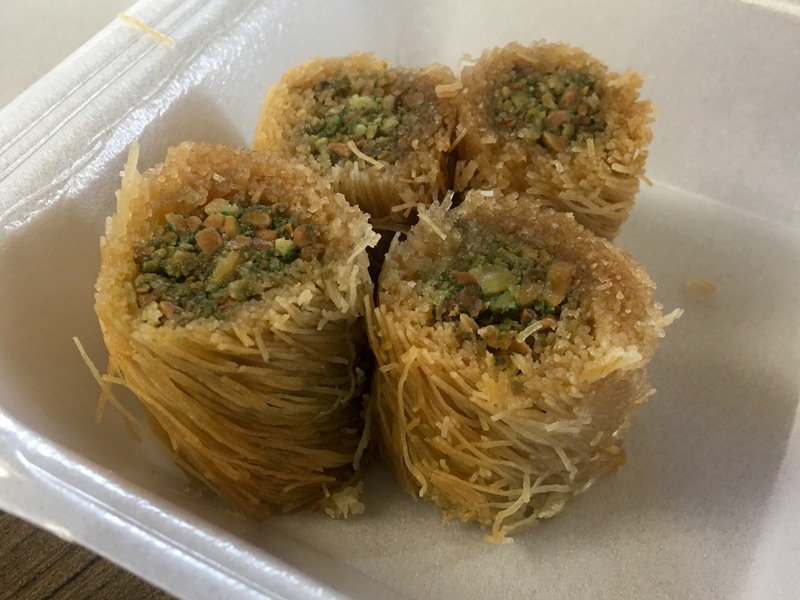 The baklava rolls sort of look like shredded wheat, but every bite oozes with honey. 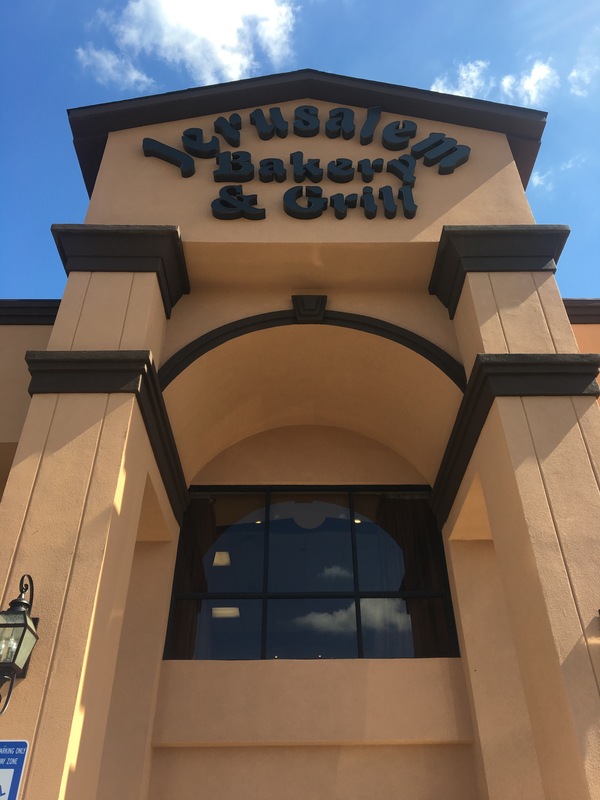 It’s a sweet way to end your meal at the Jerusalem Bakery. 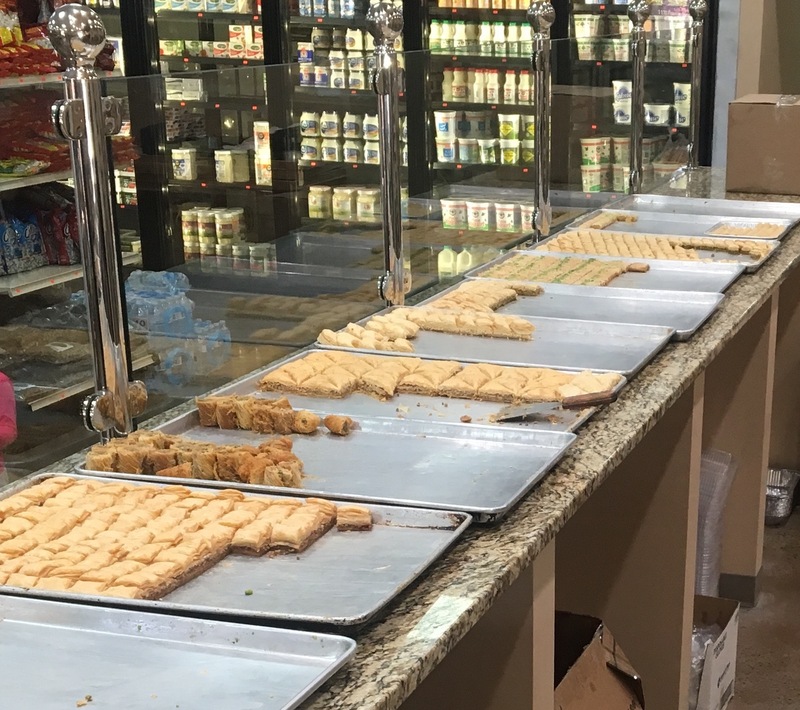 The bottom line on Jerusalem Bakery: Bigger and better. 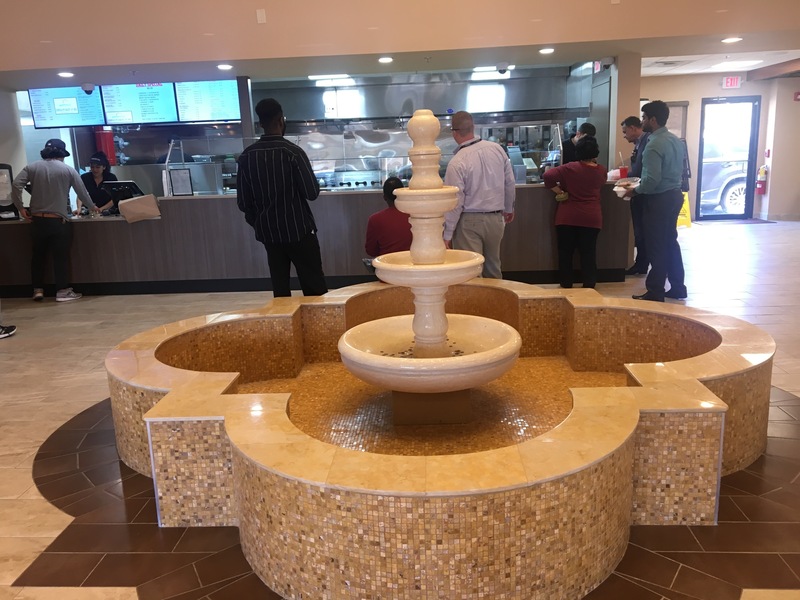 We used to only get it to go, but now we proudly sit and eat in the new building. While you are there, pick up a couple of packs of pita bread to go for your freezer. After you eat this pita, nothing else will do. 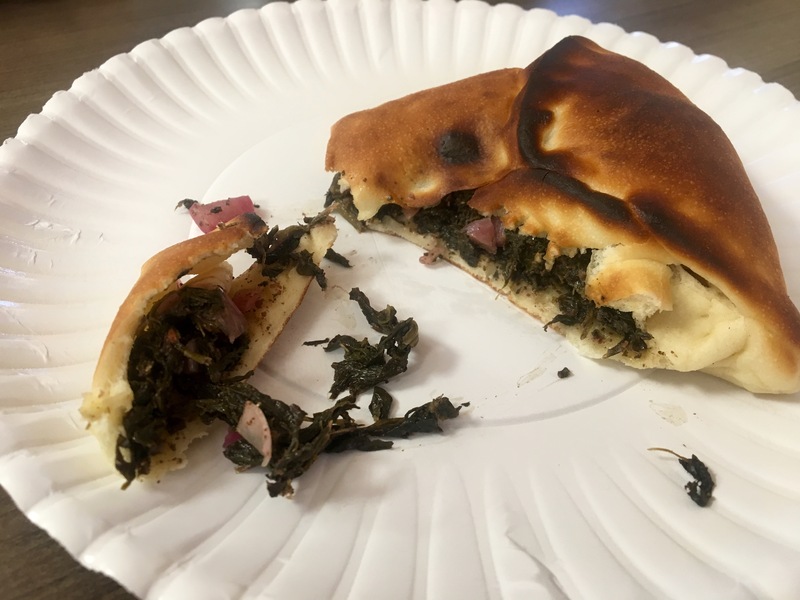 It is the best pita in town, and they make it fresh daily right here.